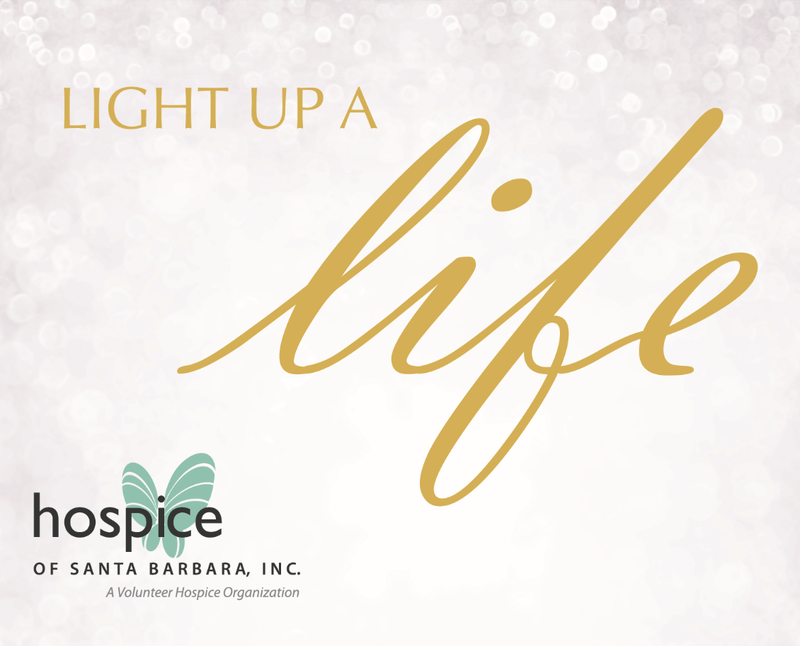 Hospice of Santa Barbara (HSB) invites the community to celebrate and honor the lives of loved ones at its 35th annual Light Up A Life ceremonies. Light Up a Life ceremonies are free to attend and feature special guests and speakers, music, and a memorial tree lighting, including hundreds of sparkling tribute stars hung to commemorate those who are no longer with us. Stars are available online and will also be available at each ceremony for a suggested donation of $15 or more for those wishing to personalize a star to hang on the tree. Hospice of Santa Barbara will record the names being honored and remembered into the Book of Life, which will be available in perpetuity online. 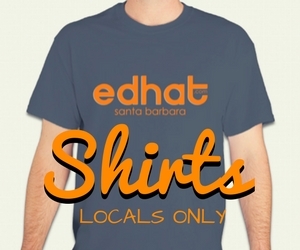 All proceeds will benefit Hospice of Santa Barbara programs. 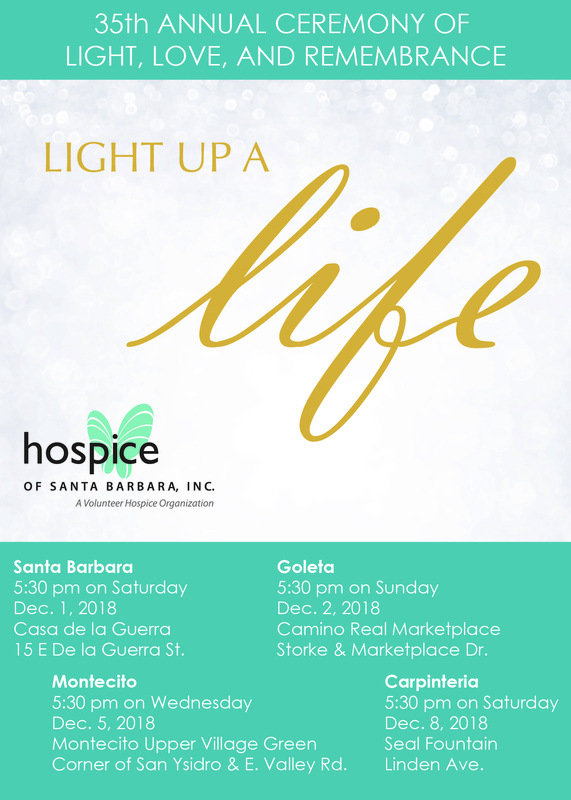 To purchase a star or for more information about Light Up a Life, call (805) 563-8820 or visit www.hospiceofsantabarbara.org.